Experience a CHATOGRAPH™ and have your one-on-one social media engagement with your favorite current player, legend, or celebrity. 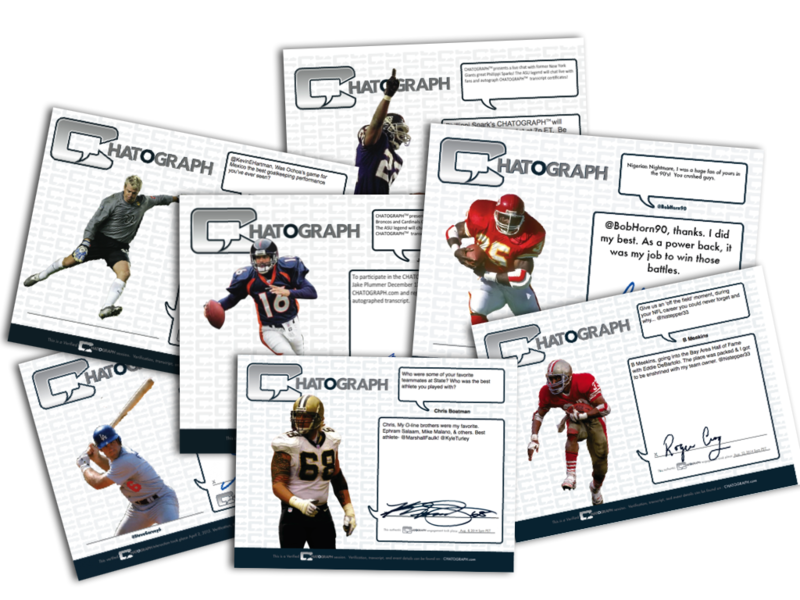 And every CHATOGRAPH™ experience includes your conversation transcript on a limited-edition 8.5″ x 11″ certificate autographed by the athlete! Sign up now, have a chat with a superstar, and get your original autographed certificate! 4) Receive your personal autographed CHATOGRAPH™ certificate via mail. Check the calendar for upcoming CHATOGRAPH™ sessions. Space is limited so sign up to interact with your favorite player or celebrity now!